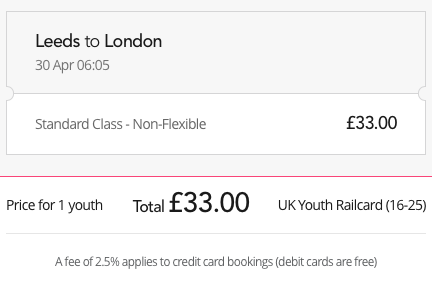 Railcards are cards you can purchase annually to get discounted train fares. Loco2 supports many of these cards, so if you have one and we support it, you can buy discounted train tickets through Loco2. Note that railcards themselves cannot currently be purchased from Loco2. Youth cards - for passengers in their early teens to 25 years old. Restricted mobility - for wheelchair users and passengers with mobility issues. Depending on the operator, there are also card options for families or groups of two (National Rail),frequent travellers and service personnel. France - Carte Senior+ (senior), Carte Escapade (weekend), Carte Jeune (ages 18-27) and Carte Jeune (ages 12-17), Carte Enfant+ (under age 12). Germany - all BahnCard options. Spain - Tarjeta Dorada (senior)and Carnet Joven (youth). Thalys - ThePass (Business, Premium and Weekend). UK - all National Rail options. 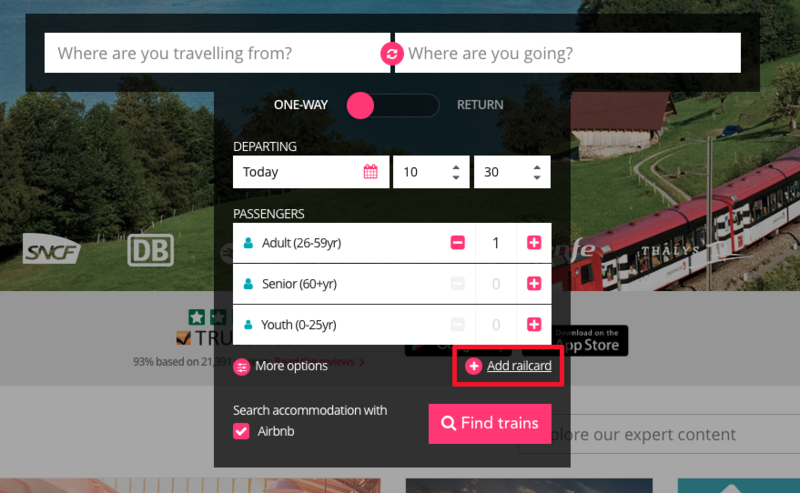 From the search page, click "Add railcard" below the search bar. 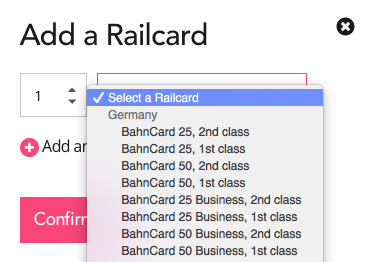 From the drop-down menu, select your railcard. You can add multiple card types to one search. When you conduct the search, the tickets will be discounted according to the card regulations. If the card has been applied, this will be noted on the right next to the price. Note that when traveling, you must have your railcard with you or you will be liable to pay the full fare for your journey.